OnePlus, the infant company that is wholly owned by Oppo, (OnePlus has confirmed with us that they are not owned by Oppo!) has indicated in a blog post that they will soon be coming to India. After announcing the OnePlus One smartphone, which is one of the most wanted smartphones by many from across the globe, the company has been constantly working to improve production and sell more units of their wonder device. Wonder device? You’d call it that once you know what’s inside, and for how much. The OnePlus One is a Nexus killer, simply put. And it does so without skimping on specifications, or quality for that matter. Armed with a 2.5 GHz quad-core Snapdragon 801 MSM8974AC chipset, it is among the fastest Smartphones in the world. This is coupled with 3 GB RAM. A powerful 13 MP Sony rear camera sensor and 5 MP front camera take care of multimedia functions. Of course, a powerful loud speaker doesn’t hurt its case. Digging deeper, you will find that the OnePlus One houses a large 3,100 mAh battery, which lasts throughout the day and further. You simply can’t ignore the device’s gorgeous 5.5-inch 1080p IPS LCD panel, boasting brilliant colors and viewing angles. You have a magnesium-alloy based body that is lightweight (lighter than its closest brother, the Oppo Find 7). On the software side of things, you need not worry as well. The OnePlus One runs on a specially tailored CyanogenMod 11S, which is based on Android 4.4.2 KitKat. It’s got all the goodness of CyanogenMod 11, plus a few extra niceties to boot. In short, performance is top notch. All this must be really expensive… Nay! The 16 GB model costs just $299, whereas the 64 GB model costs $349. Until now, the only way of procuring a OnePlus One would be through their invite system (which is difficult, to say the least). Going by that route would cost you around Rs. 25,000-26,000 for the 64 GB model. On the other hand, if you buy the phone from AliExpress and get it shipped to India, the same model would cost around Rs. 35,000. If OnePlus indeed lands in India, they would bring their flagship Smartphone, the OnePlus One, for a price in the neighborhood of Rs. 18,000-Rs. 22,000, which would effectively slaughter competition. You’re already seen the massive hype and consequent attention that Xiaomi’s launch of Mi3 (in association with Flipkart) received last Tuesday. Imagine the kind of buzz and excitement OnePlus would create in India when they, in their turn, launch their flagship. Would you forgo plans to spend Rs. 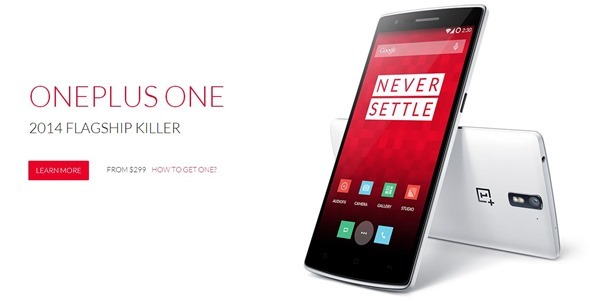 40,000 on a Smartphone and pick up a OnePlus One for half the price, if given a chance? I know that I definitely would.